Frank Zappa was on TV a lot. 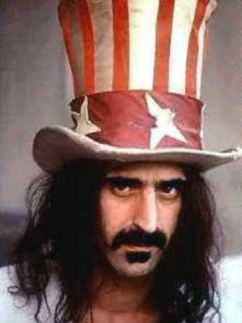 If you remove the music videos, and you remove the political talk, you still have a lot of Frank Zappa on TV. Zappa, today on the veg. The Steve Allen Show, 1963 How to play the bicycle. Steve Allen Show, part two. Too funny to just post one part! He later made a cameo appearance the Monkees’ movie Head. Make Me Laugh 1978 Zappa doing nothing. And doing it well. said harry angstrom on April 27, 2007 4:35 PM.